Being a parent can be a rewarding and life altering event for many adults. Watching children grow, change and achieve important milestones is what helps many moms and dads overcome the challenges of raising a child. 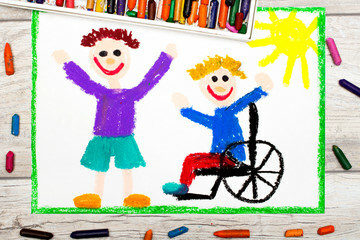 But parenting can be particularly challenging to those with special needs children. A quick trip to the grocery store can present a unique set of challenges to a parent who has a child who is physically disabled. That trip may be impacted by issues involving taking a child to the bathroom, or waiting in a long line. Trips may have to end abruptly if a child’s mood is negatively effected by something that takes place while running that errand. For a child who has autism doing something simple like going to church or a baseball game can be trying. Noise, crowds and lights can rapidly turn a good outing into a bad one. If a child’s disability is one that can be easily noticed, this may prompt people to stare or feel uncomfortable. Dining out at a restaurant with a child who needs assistance eating, can be ruined by insensitive people who lack respect and empathy. These are just some of the experiences parents of special needs children can have on an ordinary day. Even the most mundane and necessary task, like getting a haircut can quickly go south if the environment isn’t just right for a child. Sensory challenges can make haircuts painful and even traumatic.